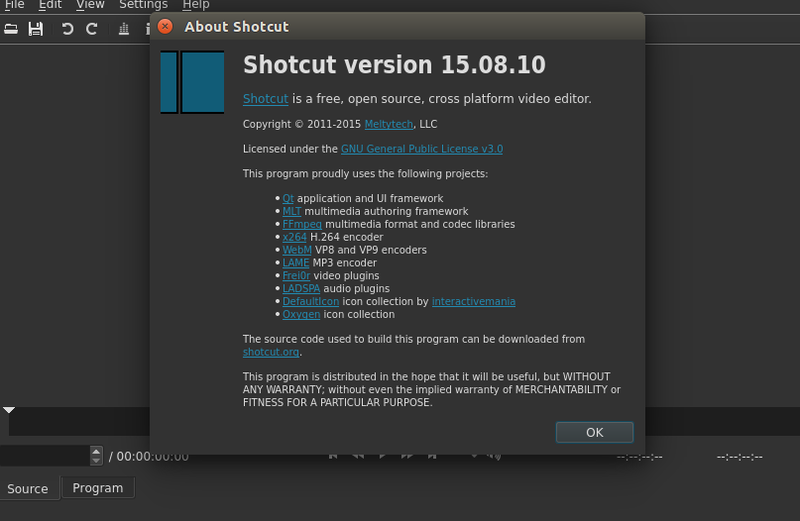 Shotcut is an open source, free video editor application which works flawlessly on Linux, Mac and Microsoft Windows operating systems. The development of this application was started in 2011, it is a stable and mature application; both professionals and armatures use this to fulfill their video editing needs. It has abundance of features; few most important of them are listed below. Supports a large number of image and video formats, almost all available formats are editable with this application. It provides screen and webcam capturing with background. Ability for batch processing and MLT XML support. It comes with extremely long list of video and audio filters to enhance your video editing experience. It lets you successfully control video zoom in the player. It provides features like 3-point editing; hide, mute, and lock track controls. It provides dock-able panels and flexible user interface with 4k resolution. Support for rendering to external monitor or display. 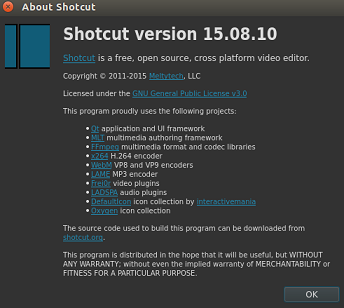 The most recent version Shotcut 15.08 is out there, let see how we can install it on Ubuntu 15.04 operating system. The latest release is mainly a maintenance release, which means most of the updates are bug fixes. However, one important feature i.e. “Ripple All Tracks” has been enhanced. Let’s see how we can run this latest version on Ubuntu operating system. First of all download it from following URL. Now go into the extracted directory and one folder deep. Here run following command to start the new Shotcut version. Congratulation, shotcut is loaded now, start using it for audi/video editing. Shotcut is frequently updated; after every couple of weeks, development team pushes new updates for end users. It has quite rich internet community. You can find lot of help regarding this app on the internet. If you haven’t already tried it, go ahead and download the latest version.